Item # 294774 Stash Points: 4,995 (?) This is the number of points you get in The Zumiez Stash for purchasing this item. Stash points are redeemable for exclusive rewards only available to Zumiez Stash members. To redeem your points check out the rewards catalog on thestash.zumiez.com. 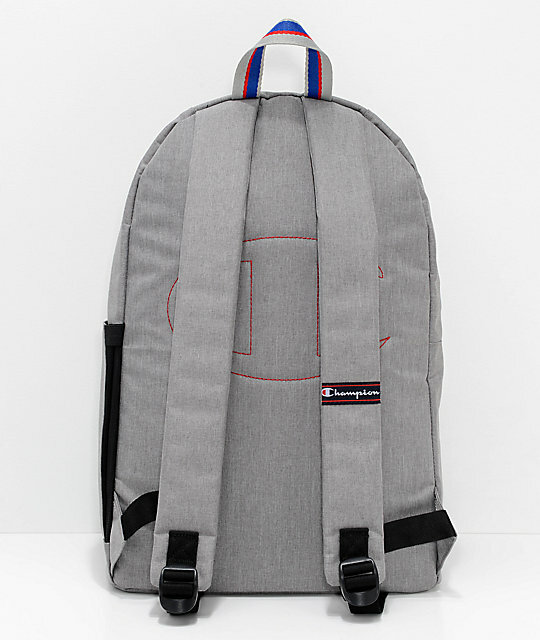 Carry your essentials and then some in style with Champion's Supercize Grey Backpack. 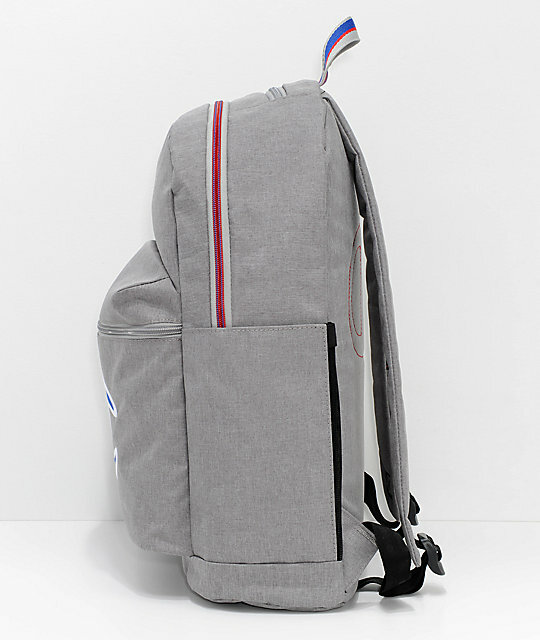 This canvas backpack offers a roomy main compartment with a padded laptop sleeve, organizers and a zip storage compartment as well as a tricot-lined top loading sunglasses pocket for safe keeping. 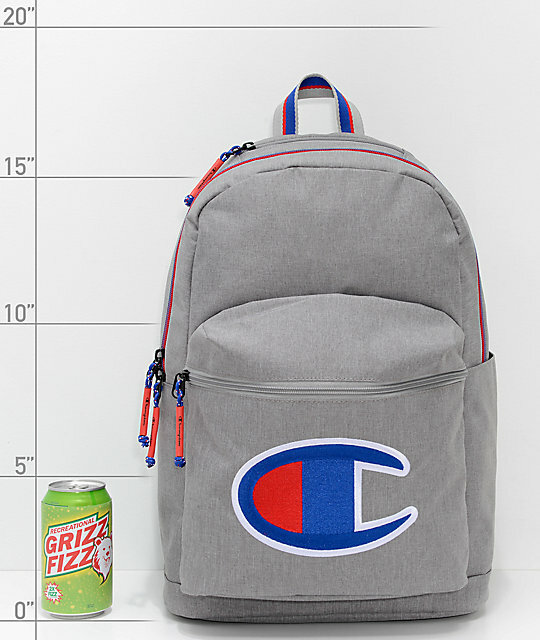 The Grey Supercize Backpack has custom Champion hardware and branding throughout for an athletic look. 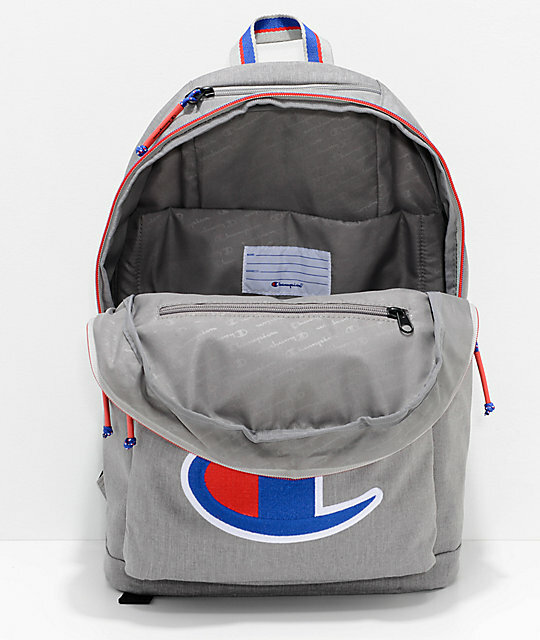 Supercize Grey Backpack from Champion. 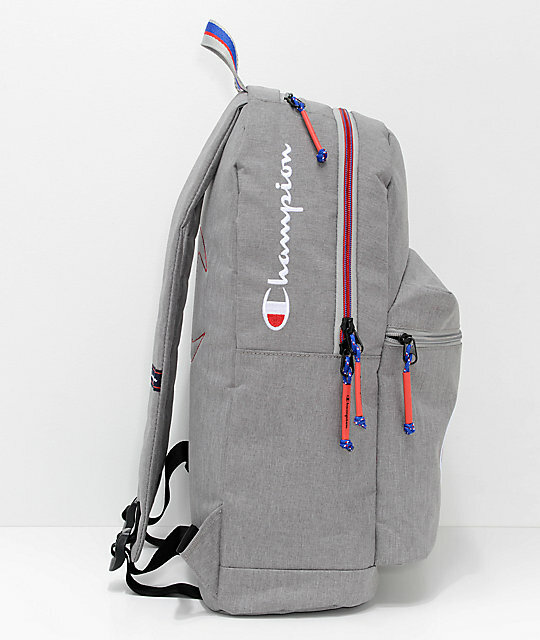 Grey w/ white, red, grey, & blue accents. Roomy main compartment w/ organizer panel. Front storage pocket w/ organizers & key clip. Champion script embroidered on side. 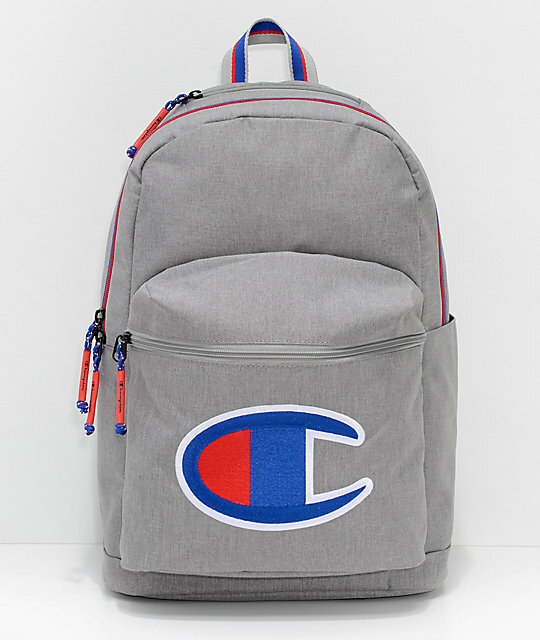 Large Champion 'C' logo embroidered on front. 15" padded internal laptop sleeve. Dimensions: 18" H x 11.5" L x 6" D.